Travel surveys play a critical role to measure project outcomes, tracking performance or benchmarking. They also provide key references for the amount of walking done. At the same time, walking presents particular challenges for accurate measurement. The collection of data on mobility patterns and specifically walking data varies considerably between countries and between cities, and also over time. This means that walking data (and thus travel data on other modes) are rarely directly comparable from one place to another. 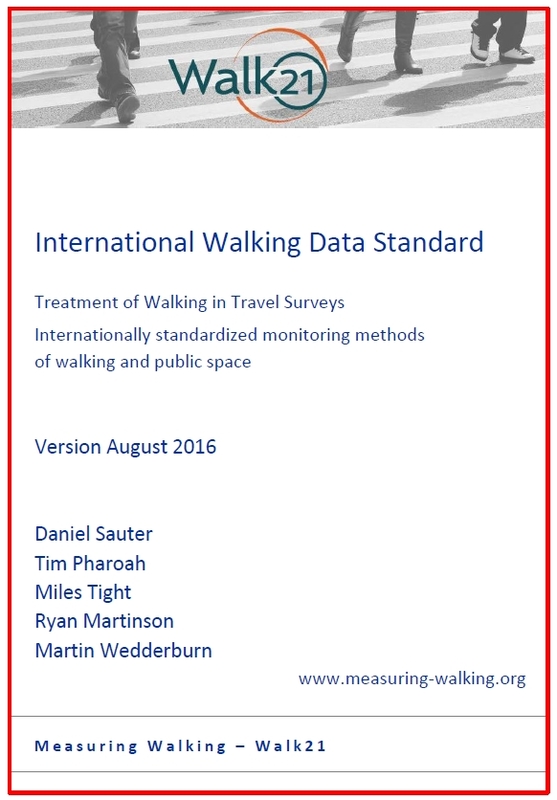 To address these problems of survey accuracy and comparability, a standard way of defining and measuring walking has now been produced. 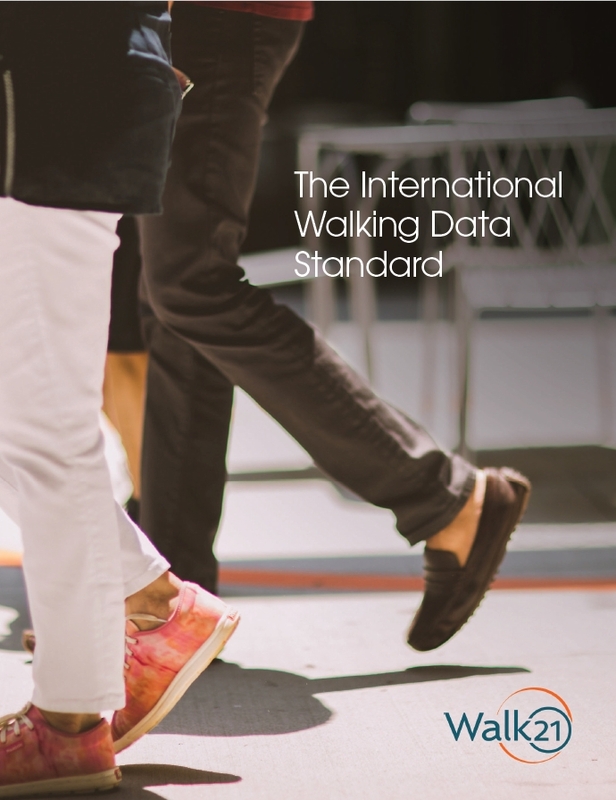 The International Walking Data Standard has been developed over several years by the Measuring Walking team of Walk21 and supported by experts around the world. 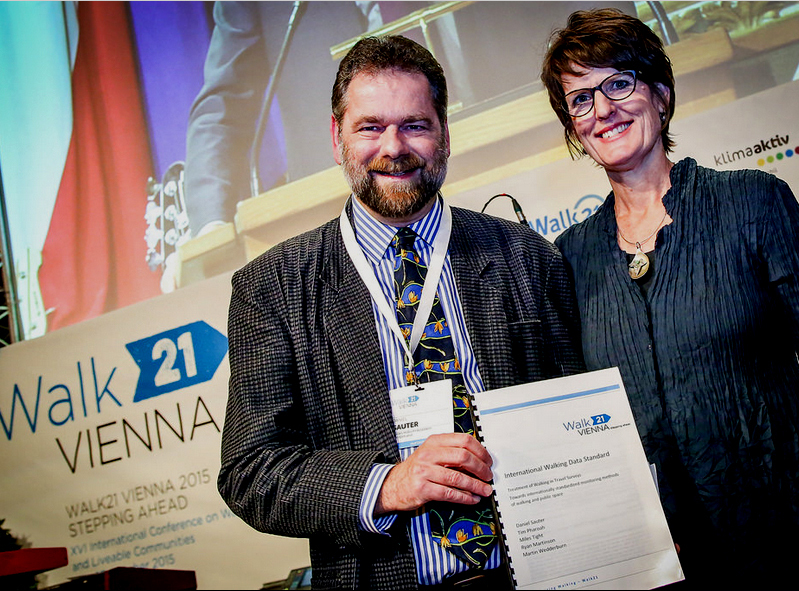 It was launched at the Walk21 conference in Vienna in October 2015. The objective of the Standard is to ensure that walking has a high profile in transport and urban planning throughout the world. 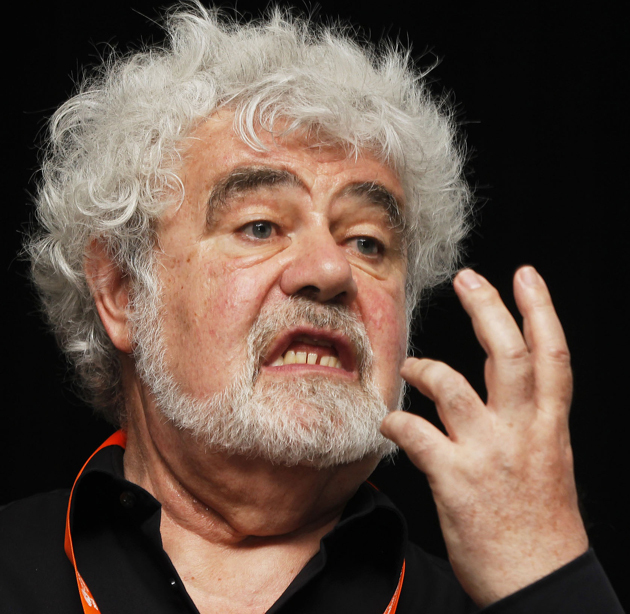 What is not measured is not seen as important, and what is not seen as important is not properly measured. International comparisons are important to establish “best” or “better” practice and to inspire and encourage better conditions for people wanting or having to walk. Specifically, the objective is to establish comprehensive data on trips, such that walking is recorded with the same degree of accuracy and diligence as other modes. 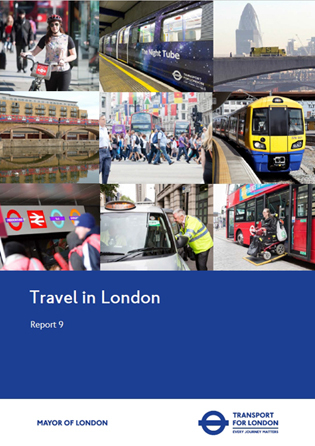 The Standard is aimed at organisations that are responsible for travel surveys at the international, national, regional and city level, throughout the world. We invite agencies responsible for travel surveys and their representatives to adopt the Standard and/or to make contact in order to discuss how this can be achieved in their respective country or city. preconference workshop in Vienna, 20 October 2015. 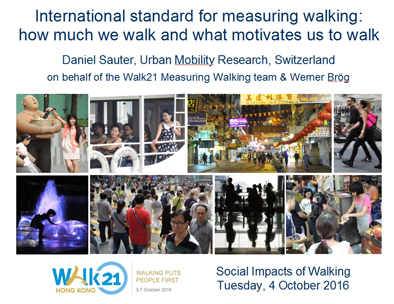 Walk21 conference in Hong Kong (2016): The presentation put the Standard into a context to show the benefits of standardized methods to collect data in travel surveys. Download the presentation from here. Publications in German: the Standard was presented in mobilogisch 3/16 by the German Pedestrian Association Fuss e.V. and in the walk-space newsletter 4/16 by the Austrian Pedestrian Association walk-space.at.